It can be frustrating not to listen to your favorite music or having to download it whenever you want to listen to it. Sometimes you may be attending a camp trip or travelling with friends and you forget carrying that one thing that makes everything superb; your favorite music CD. Also, evade the costs of downloading music which you can easily transfer from your CD to you iPhone. Carrying your CDs and disk player can be tiresome and sometimes inconvenient; transfer music to iPhone and enjoy it whenever and wherever you go. Try these two super cool music transfer methods today. How to Import Songs from CD to iPhone without iTunes? How to Transfer Music from CD to iPhone with ApowerManager? Launch windows media player in library mode. Select the CD from the left and click rip settings on top of the screen. Set the Mp3 format under Rip settings. Choose the folder where the CD songs will be saved after Ripping. For the ripping process to start, click Rip CD. Wait for the ripping process to complete. It should take few minutes. 2. 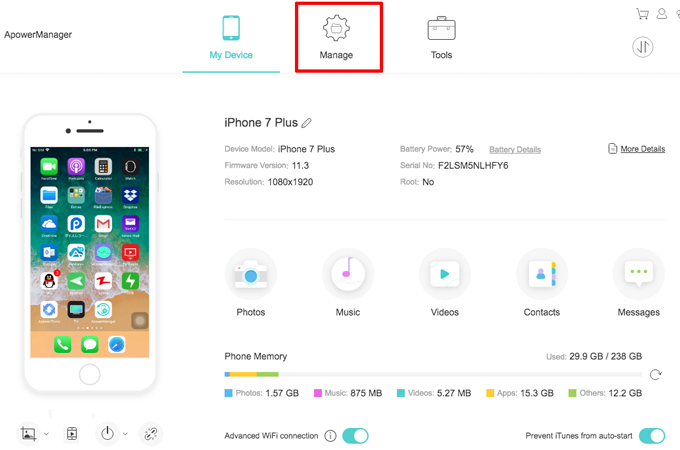 Copy CD to iPhone using ApowerManager? To transfer songs from CD to iPhone using ApowerManager is very easy and straight forward. However, you need to first rip the CD and convert the songs format to MP3 before launching ApoweManager. Once the songs are ripped and in MP3 format, open ApowerManager in both the PC and iPhone to start the transfer process. With this iPhone transfer application, you can transfer your music from the ripped music folder to your mobile device easily. To copy CD to iPhone using ApowerManager, you need to install the program on your Windows PC or Mac as well as your iPhone. Connect the iPhone with your PC using USB connection and select the music to transfer from the ripped music folder. Download and install ApowerManager by clicking the button below. Connect your phone to your PC with a USB cable. Click on “Manager” on its interface and choose “Music”. Click on “Import” to import a song or a folder to your iPhone. You can also use ApowerManager to transfer notes, contacts, messages, videos, photos, books, apps and other files. How to Import Songs from CD to iPhone with iTunes? Insert the CD in your PC’s CD-ROM and then open iTunes. On the upper left area of the screen, select the CD icon. On the dialogue box that pops up, select “Yes” to import the music from the CD. Upon clicking “Yes”, iTune will start to copy the songs from the CD to the iTune library. Also, you need to select the songs you wish to import to iTunes, and then click “Import CD”. Select your import settings like AAC Encoder, MP3 or other setting compatible with Apple devices and click “OK” once you’re done with selecting the songs to transfer. 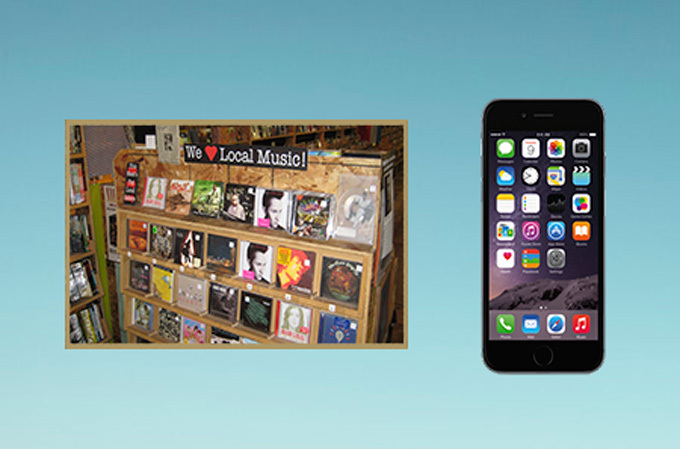 Wait for few minutes while music is ripped to your iTunes library and move on to transferring music from CD to iPhone. Conclusively, you have learned how to get music from a CD to your iPhone using iTunes method and how to put CD on iPhone using ApowerManager. However, if you choose to use other methods other than iTunes, you need to convert the music from cda to MP3 for the songs to play in your iPhone.